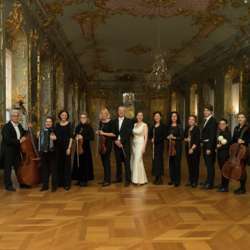 "Wandelkonzert"is a special form of concert….several musical ensembles play in different rooms of a palace and the music lovers can walk around the palace and enjoy classic music from W.A. Mozart, L. van Beethoven, J.S. Bach, A. Vivaldi, G.F. Handel, J. Haydn music …. "Berliner KammerOrchester" - founded in Berlin, Protected content Hans von Benda and existed in this form till Protected content . It has been refounded in Protected content the artistic direction of the Berlin conductor and composer Roland Mell. This group usually has an orchestra size of about 25 musicians. The "artists cards" are available from 17:30 pm in the ticket office in Schloss Charlottenburg. This event is open to the general public, this is not an InterNations event only.